GOLD MANS RİO'DAN 2-1 İLE DÖNDÜ. 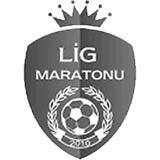 LİG MARATONU HALI SAHA LİGİ 2018-2019 SEZONU 14. HAFTA MÜCADELESİNDE PAZARTESİ AKŞAMI MEGA CENTER TESİSLERİNDE BİR ARAYA GELEN GOLD MANS - RİO DE JANEİRO TAKIMLARI ARASINDAKİ MAÇLA DEVAM ETTİ. MAÇA KONTROLLÜ BİR OYUNLA BAŞLAYAN HER İKİ TAKIMDA ORTA SAHADA KAPTIRDIKLARI TOPLARI KALELERİNDE POZİSYON OLMAMASI İÇİN BÜYÜK ÇABA SARF ETTİ. İLK YARIDA TAKIMLAR OYUNA OLDUKÇA İSTEKLİ BAŞLADI. RAKİPLERİNE OYNAMA ŞANSI VERMEMEK ADINA OYUN SIK SIK DURMAK ZORUNDA KALDI. IKI TAKIMDA GERİDEN AYAGA PASLARLA HUCUMA CIKARAK RAKIBINI OYUNDAN DUSURMEYE CALISTI. 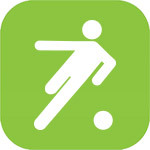 MACIN ILK GOLU 7 DK'DA RIO DE JENARIO TAKIMI HUCUMA CIKARKEN KAPTIRDIGI TOP SONRASI GOLD MANS TAKIMINDA ARAYA GIREN BERKİN FIRSATI IYI DEGERLENDIRIP TAKIMINI 1-0 ONE GECIRDI. ILK YARI BOYLE DEVAM EDERKEN 20. DK'DA SAHNEYE CİHAN CIKTI DURUMU 2-0 GETIRDI VE ILK YARININ SKORUNU BELIRLEMIS OLDU. ILK YARIDA ISTEDIGI GOLU BULAMAYAN RIO DE JANERIO IKINCI YARI BASKILARINI IYICE ARTTIRDI ANCAK ISTEDIGI GOLU GECTE OLSA MURAT'IN 50 DK'DA ATTIGI GOLLE MACI 2-1'E GETIRDI.GOLDEN SONRA BASKIYA DEVAM EDEN RIO DE JANERIO ARADIGI GOLU BULAMADI VE MAC 2-1'LİK SKORLA GOLD MANS'IN USTUNLUGUYLE BITMIS OLDU. BU AKSAM IKI TAKIMINDA TOP OYNAMA ARZUSU DIKKATLERDEN KACMADI. BU GALIBIYETLE 3 PUANI ALAN GOLD MANS UST SIRALARA TIRMANMAK ICIN BI ENGELIDE ASMIS OLDU. Bu haber toplam 362 kez okundu.